Mark London started the firm in May 1989 after leaving a partnership in a well-known national law firm. He operated as the Law Offices of Mark London until his good friend, Chris Mead, finished his tenure at the U.S. Attorney’s Office in Maryland. In November 1994, they started London & Mead. Mark has extensive experience in many areas of civil litigation. He has first-chaired about a dozen jury trials and about 20 bench trials in about that many courthouses. He has first-chaired about 20 arbitrations around the country. His specialty is trying to solve problems and get things done. He has represented clients and tried cases in an array of specialties: securities fraud, civil fraud, partnership disputes, civil conspiracy, law firm management, insurance coverage, complex divorce, a wide variety of real estate disputes, legal malpractice and the False Claims Act. He and Chris Mead have had primary responsibility for settlements in the False Claims area of more than $500 million (and tried such a case to a very successful judgment). Mark regularly represents lawyers and law firms, as well as other professionals, in disputes inter se, as well as those brought by third parties, including negligence. Mark often represents clients in Brazil. He represented Marriott International in a case that lasted more than three years involving the bankruptcy of a hotel in Rio de Janeiro, and he represents a hedge fund with claims against the promoter of an investment scheme, its custodian and administrator. For about 15 years Mark acted as outside general counsel for Giant Food and had responsibility for internal investigations involving misuse of company assets, employment discrimination, disputes among vendors, as well as a suit against the bank issuing Giant’s credit card. He acted as supervisor of outside counsel in a class action discrimination case against the company. He has conducted internal investigations in the United States and foreign countries for the Inter-American Development Bank, the Pan American Health Organization, and provides supports to investigations conducted by the World Bank. Mark serves as a mediator and an arbitrator with the American Arbitration Association. He has been a mediator in the U.S. District Court for the District of Columbia for more than 20 years, and he has been appointed as a Special Master by that court. He also has served as an expert witness on several occasions in the area of a civil litigator’s standard of care, as well as in fee disputes. Mark has wide-ranging interests other than the practice of law. He is the co-author with Brian Kelly of The Last Forest: The Amazon in the Age of Globalization, published by Random House in February 2007; Amazon, published by Harcourt Brace Jovanovich in November 1983, paperback by Holt Reinhart, and three foreign editions; The Four Little Dragons: Inside Korea, Taiwan, Hong Kong and Singapore at the Dawn of the Pacific Century, published by Simon & Schuster in May 1989, paperback by Touchstone, and two foreign editions. Mark is the producer of Shark Loves the Amazon, a documentary about the rain forest issued in 2011, and he is the producer of The Warrior Scholar Project, a documentary about the transition of veterans from the military to higher education issued in 2014. Mark is a creator of the Rio Juma Sustainability Project in the Brazilian Amazon, a revolutionary concept for preservation of the rain forest covering about 3000 people in an area the size of Switzerland, administered by a Brazilian NGO and funded primarily by Marriott. 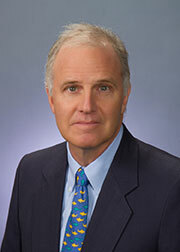 He has served on the boards of Pitzer College and Elon University Law School. Mark has spent more than 20 years as vice chairman of the Special Operations Fund (http://specialoperationsfund.com/), which has sent more than 300 children and widows of our nation’s heroes’ to college, and he is the chairman of the Warrior-Scholar Project, which addresses the transition of enlisted veterans from the military to higher education (www.warrior-scholar.org). He speaks Spanish and Portuguese.